Color theory is the art and science of colors, our understanding of how colors mix, how people perceive colors, and the message the colors communicate. Are you aware that colors impact how one thinks and behaves? In fact, color ads attract 42 percent more attention than those in black and white. This holds true even outside the realm of social media and into print marketing. Prospects hold on to colored business cards 10 times longer than standard white cards. Why Is Color Theory Important to Content and Social Media Campaigns? When a prospect’s eyes meet a particular color, they immediately send a message to the brain. After a nanosecond of processing the information, the individual makes a judgment about what they see. They may be interested, bored, or repulsed. Great marketers wind up testing multiple visuals to find the best option. 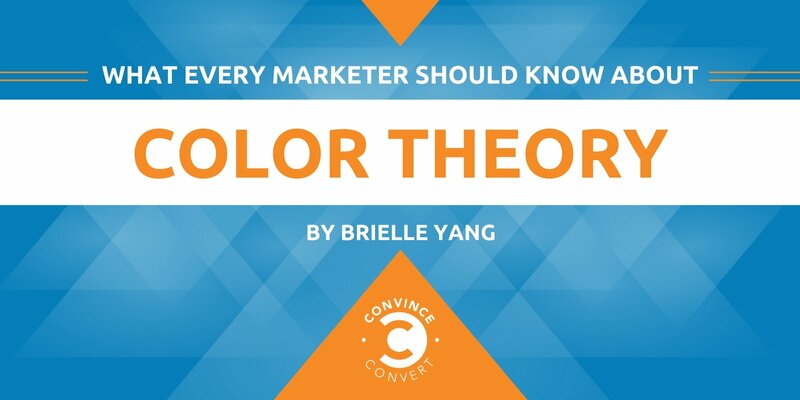 However, this can’t begin without an understanding of the benefits of color theory in marketing. Strategic design directs prospects’ eyes, subtly telling them where to look and what to focus on. Color perception is instrumental in this process. The use of color harmony also impacts the logic order or psychology of an ad or piece of visual content. Using complementary colors can create a jarring effect, while analogous colors imbue a sense of serenity. The mood a social media marketer wants a target audience to feel can essentially be induced with the right color design. With the above benefit in mind, color choice can increase the effectiveness of a campaign, especially when it comes to conversions. Major color contrasts can draw the eye to a specific element on a page or ad, like your pitch or call to action. Deviating from the ad’s color scheme can create a focal point that draws eyeballs like a magnet. Often, red and yellow tend to perform better in this vein, but testing is essential to find what works best. With social media, the customer is not in front of your desk for you to negotiate the sale. However, colors can be persuasive by invoking emotion. While our individual reactions to certain colors will vary based on our personal experiences, there are some broad generalizations that do affect customers’ psychological perception of color. For example, people often associate the color blue with trust and the color green with growth. Luxury brands might use silver or gold to convey elegance or sophistication. The target audience and the type of vibe an ad is hoping to send should be a factor in determining what colors to use and how. For example, men may prefer bold, bright colors while women prefer softer ones and pastels. Men also tend to shy away from purple, for example, so ads targeting men should not use that color. Knowing the target audience intimately and choosing what emotions to evoke is instrumental in building an effective social media campaign. One of social media’s biggest uses is brand building, an activity that is crucial to the perception of a company or campaign. 80 percent of consumers think color increases brand recognition. This is an easy statistic to believe; Facebook as a brand is tightly linked to that dull blue and Twitter to its own sky blue. Choosing a color that fits with desired associations. Staying consistent with that color for logo, ads, website visuals, and more. Ultimately, the recipe for success in using color for social media is to take note of the importance of color, their interpretation in your particular geographical area, and how your target audience perceives color. The wrong colors can impact both the success of a campaign, but the good news about social media is that there’s always the ability to test and find out what works the best. Brielle Yang is Marketing Manager for Silkcards which specializes in unique and beautiful print that reflects a brand’s image and makes a positive first impression.